JD Entertainment, a Michigan wedding photographer and DJ company, invites brides-to-be to explore their new mobile-friendly website. The site launched just ahead of the busy spring wedding season with a user-friendly experience, improved navigation, and stunning photography. 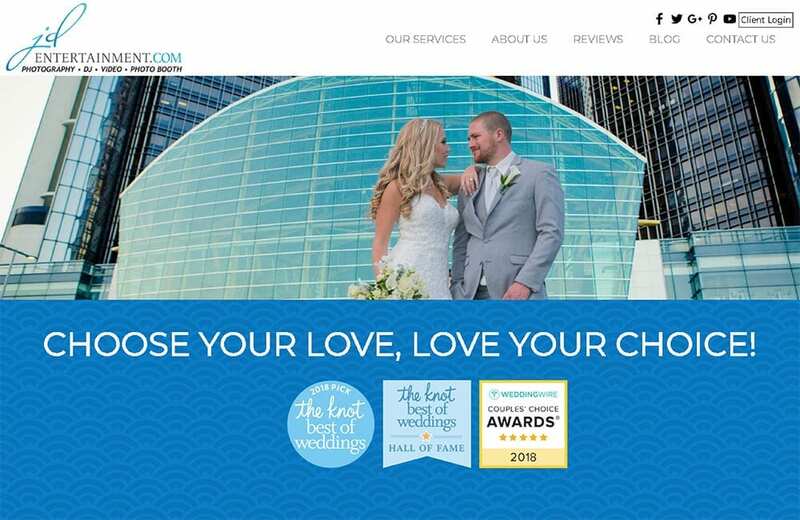 Couples have this full-service wedding vendor at their fingertips with a website that spans mobile devices.